We had reported last week that production on Kamal Haasan’s Indian 2 would flag off sometime in April. To be directed by Shankar, the sequel to the 1996 blockbuster, Indian, will most likely be produced under the Lyca Productions. Indian 2 was launched on January 26 in Taiwan with filming expected to begin at the Ramoji Film City in Hyderabad. 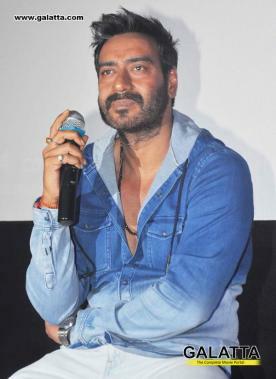 Apart from Kamal Haasan, Bollywood superstar Ajay Devgn’s name has popped up to be part of the film. 'Lady Superstar' Nayanthara has also been reported to be the main contender for the female lead in Indian 2. Meanwhile, we had reported a while back that acclaimed Tamil author Jeyamohan had been brought on board to pen the dialogues in the film. That being said, reports have now surfaced that lyricist turned screenwriter Kabilan Vairamuthu will be joining the Indian 2 team to co-write the dialogues with Jeyamohan. Fans will know Kabilan Vairamuthu as the man who had written the screenplay for Ajith’s blockbuster, Vivegam, last year. In addition, he also contributed last year on the screenplay front for Vijay Sethupathi’s hit film, Kavan. This will no doubt lend much support to Indian 2, which is already being talked about quite a lot among fans.